The Titan Motoring team is led by Philip Lindsley, a mobile modification specialist in the middle TN area since 1995. Philip's passion for perfection, customer service, and high end automotive products has brought Titan Motoring from a one man garage operation to Nashville's premier custom automotive shop in a matter of a few years. The team, with a combined experience of almost a hundred years, has built cars for NFL players from the Titans, Jets, Rams, and many other teams. Their reputation proceeds themselves and they are known for treating every project like their own until returned to their loving owners. The team's diverse skill set allows them to complete modifications and upgrades ranging from full Nashville car audio and video systems to full frame-off restorations and everything in between. We also offer auto window tinting services by SunTek, including standard, carbon and carbon XP which uses nano film technology. Titan Motoring's new 8,000 sq ft state-of-the-art facility has taken the business to the next level. Clean, well-equipped, and conveniently located, Titan Motoring is posed to be Middle TN's premier custom automotive shop. Call us today for your custom Nashville car audio and custom Nashville mobile video installation. Ever since moving to Nashville, Titan Motoring has been the only place I trust with any of my car needs. From tires/tint/cosmetic repairs to major aftermarket modifications, they do it all - and always with incredible attention to detail and customer service. I recently had an emergency where I needed new tires the same day, and they made it happen, even if it meant meeting me at the shop after hours so I could pick my car back up. Cannot speak highly enough of their character and quality of work! 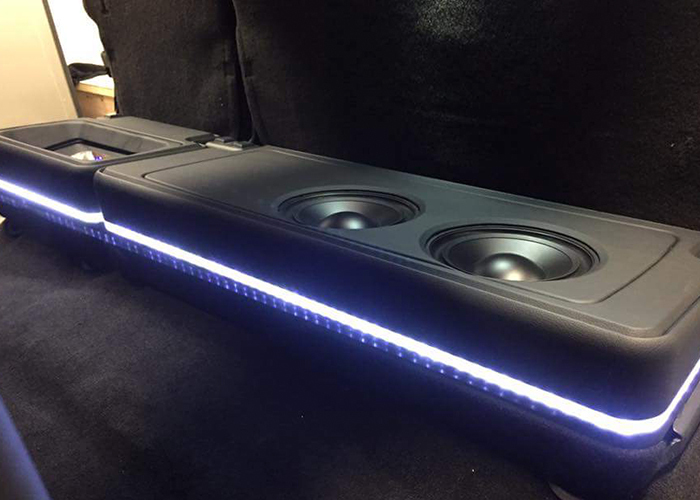 Built on customer service, trust, and quality workmanship, Titan Motoring is changing the custom automotive game with car audio in Nashville TN. Bringing you the highest quality products and innovative, Nashville mobile video, meticulous car audio and car stereo installation, our goal is to exceed every customer's expectation, everyday, every project. Our passion for building custom cars shines through in everything we do. Let us show you what TRUE customer service is all about. Custom car window tinting adds a flare to any car using our custom paint and custom tint graphics. Custom tinting can come in a wide variety of tint graphics, designs, colors and style films that can be custom-cut to match your most creative ideas. You don’t have to stick with plain windows, the right custom tint design or graphic adds a creative element to any car or truck. The benefits of Nashville car window tinting range from protecting your car's health to protecting your own health. By blocking damaging sun rays from reaching your interior, window tint will help prevent the sun from fading your car's interior, and help prevent your interior from emitting dangerous chemicals due to overheating. Auto window tinting Nashville drivers can help keep almost 100% of UVA and UVB rays from entering their car and causing harm to their body as well. Titan motoring is car window tinting Nashville one step closer to a safer environment. The science is simple, window tint will prevent your car's interior from becoming overheated. If the interior is not incredibly hot, then you will not need to run your air conditioning as much. This will help you burn less gas, which is good for your wallet, and also good for the environment. Whether it's a regular car or luxury sports car window tinting that you want, we treat every car and truck like it's one of our own. Have your own custom tint graphic or design? – no problem. We’re happy to accommodate your individual needs. The possibilities are limitless, and we even can apply vinyl graphics to the body of the vehicle to match your custom tint design.